I made this last year and realized that I never posted it! So I thought I’d share since today’s Sunday Supper theme is make ahead dinner party recipes. Last year I brought it for a New Year’s Eve party, and had enough left over to bring it to another party on New Year’s Day. It was a huge hit at both parties! Believe it or not, I actually found this recipe in Shape Magazine! I don’t remember which issue, but I had clipped it out some time ago. Garnish with jalapeno slices if desired. This topic was modified 1 hour, 52 minutes ago by Christie Campbell Christie Campbell. 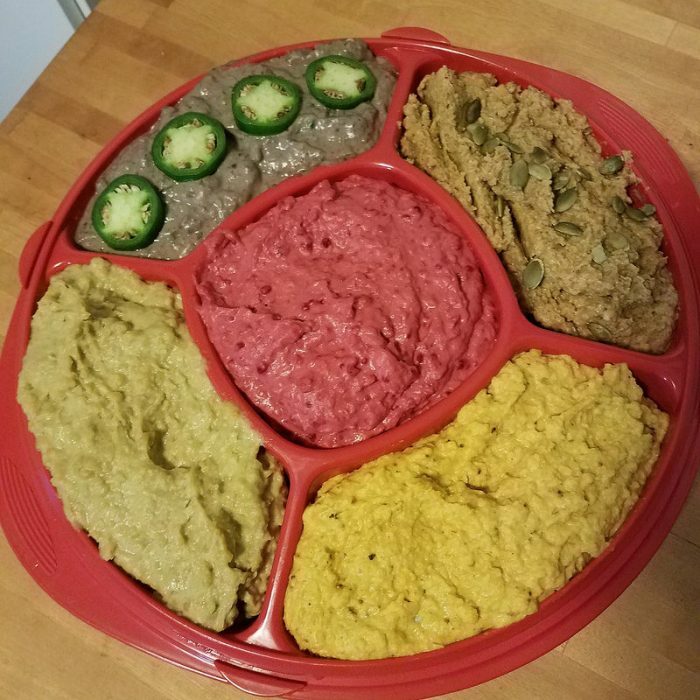 I remember an array of different hummus recipes at a function I attended—such a fun idea! I love this healthy appetizer for the holidays! Great idea to offer a variety. All these sound so good!